The team, comprising researchers from the universities of Oxford, Yale, Leicester and Manchester, and Imperial College London, has been able to three-dimensionally reconstruct the exceptionally well-preserved fossil using digital technology. The research is reported in the Royal Society journal Open Science. First author Derek Siveter, Professor Emeritus of Earth Sciences at Oxford University and Honorary Research Associate at Oxford University Museum of Natural History, said: ‘Lobopodians are extremely rare in the fossil record, except in the Cambrian Period. Worm-like creatures with legs, they are an ancestral marine relative of modern-day velvet worms, or onychophorans – predators that live in vegetation, mainly in southern latitudes. Thanahita distos, as seen in the rock. Image credit: Derek Siveter et al. ‘This new lobopodian, which we have named Thanahita distos, was discovered during fieldwork in an area of Silurian rocks in Herefordshire. 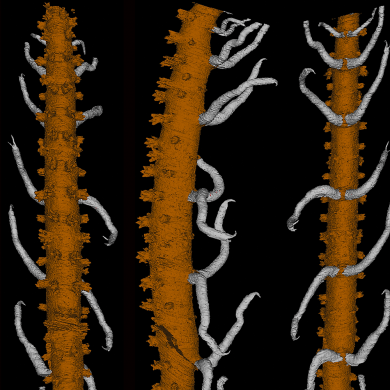 It is the first lobopodian to be formally described from rocks of Silurian age worldwide; exceptionally, it is fully three-dimensionally preserved, and it represents one of only eight known three-dimensionally preserved lobopodian or onychophoran fossil specimens. Professor Siveter and colleagues have been carrying out fieldwork in Herefordshire since the mid-1990s. 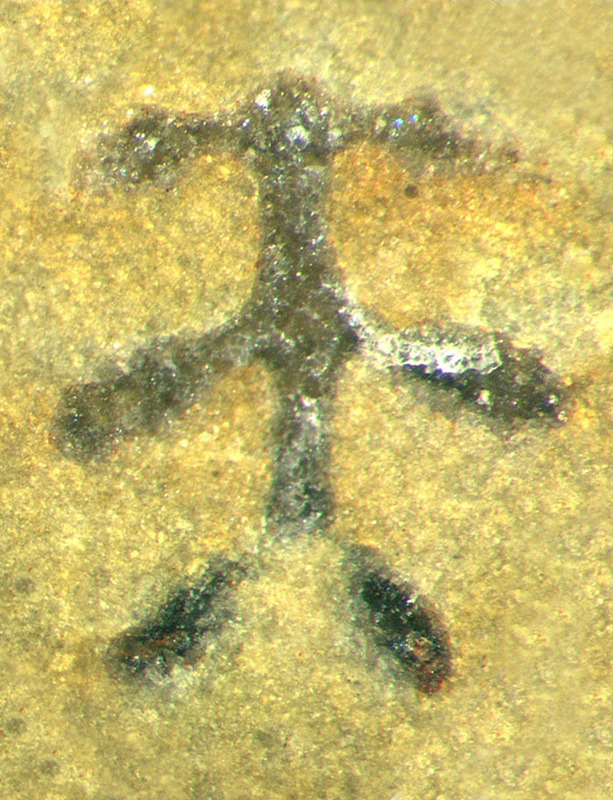 The sedimentary deposit in which it was discovered has since become known as the Herefordshire Lagerstätte, the term Lagerstätte indicating that it contains exceptionally preserved fossilised remains of soft-bodied animals. The fossils were deposited 430 million years ago within a marine basin that extended across what is now central England into Wales, and they are preserved in nodules in a soft, cream-colored volcanic ash mixed with marine sediment. Professor Siveter said: ‘Thanahita distos and the other animals that became fossilised here likely lived 100 to 200 meters down, possibly below the depth to which much light penetrates. We deduce this because we found no vestiges of photosynthetic algae, which are common in contemporaneous rocks laid down at shallower points on the seafloor to the east. He added: ‘Some lobopodians lie in a position on the tree of life which foreshadows that of the terrestrial velvet worms, while others are precursors of the arthropods: the “king crabs”, spiders, crustaceans and related forms. Since its discovery, the Herefordshire Lagerstätte has yielded a diversity of arthropods that have contributed much to our understanding of the palaeobiology and early history of this very important invertebrate group. The lobopodian Thanahita distos belongs to an extended, panarthropod grouping. The work was funded by the Natural Environment Research Council (NERC) and the Leverhulme Trust. Paper: A three-dimensionally preserved lobopodian from the Herefordshire (Silurian) Lagerstätte, UK, by Derek J. Siveter, Derek E. G. Briggs, David J. Siveter, Mark D. Sutton, David Legg was published in the Royal Society journal Open Science.